FORT LAUDERDALE, Fla. -- The third of four suspects in the shooting death of emerging South Florida rap star XXXTentacion was arrested in rural Georgia at a relative's house, authorities said Thursday. The U.S. Marshals Southeast Regional Fugitive Task Force arrested Robert Allen, 22, of Fort Lauderdale on Wednesday. He was booked into jail in Dodge County, Georgia, and is being held without bond on a warrant from Broward County, Florida. Broward Sheriff's Office spokeswoman Veda Coleman-Wright confirmed the arrest. Allen and three other men are accused of killing XXXTentacion in June. 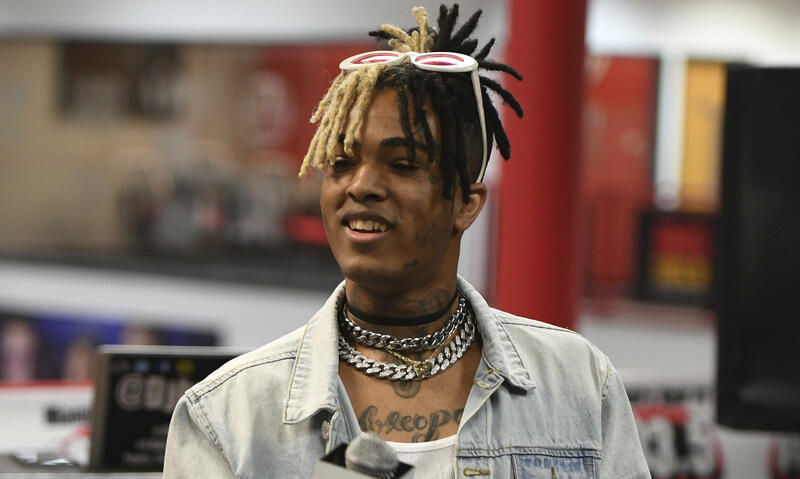 The 20-year-old rap star, whose real name was Jahseh Onfroy, was fatally shot as he left a motorcycle dealership. Officials said a struggle ensued when the rapper's sports car was blocked by another vehicle, two masked gunmen approached and XXXTentacion was shot multiple times. The gunmen fled with a Louis Vuitton bag containing $50,000. Last week, a grand jury in Fort Lauderdale indicted Allen along with three others - Dedrick Williams, 22; Michael Boatwright, 22 and Trayvon Newsome, 20 - with first-degree murder and armed robbery charges. Williams and Boatwright are also in custody while Newsome remains at large. Deputy U.S. Marshal John Edgar told the Miami Herald the fugitive task force received information that Allen was possibly staying with his sister in Eastman, Georgia. Officers did surveillance on the sister's house and she was cooperative when the officers came looking for Allen, Edgar told the Herald. An attorney for Allen isn't listed on jail records. An arraignment for Williams, who investigators believe was the getaway vehicle's driver, is scheduled for Monday and his attorney has said he will plead not guilty. Boatwright entered a not guilty plea Wednesday, according to court records. Witnesses have told police Boatwright and Newsome were the apparent gunmen although, under Florida law, all four men can face murder charges because they were allegedly involved in some way. According to a detective's affidavit filed in Boatwright's case - a document that has since been sealed - Allen was with Williams when the two men visited the Riva Motor Sports motorcycle shop in Deerfield Beach just after XXXTentacion and a friend went inside. The affidavit says the rapper earlier that day visited a Bank of America branch and withdrew $50,000 in $100 bills. The suspect identified as Williams purchased a black neoprene mask, according to investigators, and then both men left the store and entered a vehicle later identified as a blue 2017 Dodge Journey. It was this vehicle that authorities say was used to block the car driven by XXXTentacion before the shooting. The Journey was crashed about three hours after the slaying and nearby surveillance video showed several men flee, including Newsome and Allen. Boatwright's fingerprint was found inside. The Journey had been rented by a friend of Williams', according to the affidavit. The woman who rented it said Boatwright and Allen - whom she knew as "Big Rob" - were present as well. Allen is listed in jail records as weighing 300 pounds, much larger than the other three suspects. Williams later told police he was with others at the motorcycle shop but did not know in advance they intended to rob the rapper. "Williams stated that he wanted to tell the truth ... Williams stated he was fearful of being labeled a snitch when he went to prison," the affidavit says. Later, police said Williams' girlfriend told them he had told her he was involved but that it was Boatwright and Newsome who carried out the actual robbery and slaying. Police also found cellphone data on Boatwright's phone indicating it was near the motorcycle shop at the time of the killing.